Happy book birthday, ORIGINAL SIN!!!! ORIGINAL SIN, the second book in Lisa Desrochers' PERSONAL DEMONS trilogy, is available today. And Happy book birthday, A SCARY SCENE IN A SCARY MOVIE!!!! Summary: Rene, an obsessive-compulsive fourteen year old, smells his hands and wears a Batman cape when he’s nervous. If he picks up a face-down coin, moves a muscle when the time adds up to thirteen (7:42 is bad luck because 7 + 4 + 2 = 13), or washes his body parts in the wrong order, Rene or someone close to him will break a bone, contract a deadly virus, and/or die a slow and painful death like someone in a scary scene in scary movie. Rene’s new and only friend tutors him in the art of playing it cool, but that’s not as easy as Gio makes it sound. Hi Matt! So happy to have you visit. I spruced up the place just for you. What do you think of my new sculpture? It looks like an arctic fox in a toga. The fox has a large chin and bushy, conspiratorial eyebrows. He kind of looks like Charlie Sheen. "Duh, I'm bi-WINNING!" Easy, Charlie, your five minutes has passed. Besides, you're not winning with this sculpture. What can I say? I got it for a steal--the eBay seller threw the sculpture in for free with my tiger blood purchase. Anyway...your book A SCARY SCENE IN A SCARY MOVIE follows Rene, an obsessive compulsive teenager. What made you decide to write this book? Teachers often say that loud, disruptive students are thorns in their sides but most would admit that the truly dangerous ones—dangerous, at least, to themselves—are the quiet, aloof ones who fly under the radar because they nod politely at their teachers. They play the game well, well enough to get promoted, but they are anything but well. A SCARY SCENE IN A SCARY MOVIE is the result of seeing a growing number of my students isolate themselves. Rene’s rituals and magical thinking exemplify what it means to be mentally ill, or at least socially inept, in a high school setting that demands academic prowess and social fluency. I wrote this book to offer hope to wild card teenagers (what teen isn’t a wild card these days?) or those who begrudge their parents (sometimes deservedly so), question conformity, and feel so desperate and alone that the only safe place is inside their heads. But what if even that place isn’t safe? Indeed. How unnerving to think of so many kids getting overlooked. Writing this book seems like a creative way to combat that helpless feeling you must sometimes feel as a teacher. What parts of you, if any, influenced the creation of your story? Do you see any part of yourself in Rene? In any of the other characters? Rene’s friend Gio is who I wished I was in high school: an afro-puffed, lingo-inventing, smooth-talking, individualistic, poetic soul. Gio is "b'noodles," which is a unique and cool word that means "unique" and "cool." The name alone is freaking fantastic. But you relate to Rene too, yeah? On your blog you’ve talked about the universality of OCD. So what are some of your quirks, obsessions, and/or compulsive tendencies? 1. I’m an avid sports fan. Born in a suburb near Philadelphia, I’m hopelessly in love the Phillies, Eagles, Flyers, and Sixers. I have a long and sordid history of bizarre behavior when it comes to rooting for my team on TV. 1A. If my team falls behind, I change seats on the couch. Or change my snack from tortilla chips to pretzels. Or switch from water to juice. Or change t-shirts. Or lay down on the floor, as long as there’s a rug there (gotta draw the line somewhere). 1B. If my team is ahead, I like to stick to what’s working: the certain snack, the winning beverage, the lucky seat. I avoid boastful phrases like “we got this,” “it’s over,” for fear that the tide will shift. Not until the game is over–really over, after the final buzzer/bell/pitch/whistle/horn–will I rejoice. 1C Luckily for me (and my wife), I’ve gotten better. The years have mellowed out my sports craze. But every now and then, usually in the playoffs, when the game gets tight, I play the mental game: the seat, the chips, the t-shirt . . . it all becomes a factor. If only the Phillies would appreciate all the work that goes into their playoff victories!!! 2. Outside of the sports world, I’m a huge fan of blue Precise V7 pens, 3. I usually park in the same spot at school, 4. and I’m a sucker for the same breakfast: an “everything” bagel with butter. 5. If I had a particularly good writing day, I like to eat the same snack I had the day before. Except when I run out of that snack. I may be superstitious, but I'm also lazy -- a lucky snack definitely isn't worth leaving the house for. 6. Also, when I'm writing, I "coach" myself. Heavens no do I talk to myself out loud, but "coach" . . .
certainly. I'm known for the following phrases: "C'mon Matty," "what are you doing?" "where was I?" and "oi, yoi, oi." 7. Aside from the aforementioned "coaching," I prefer silence. 8. My wife's sewing machine drives me bananas. She makes beautiful stuff, absolutely stunning, but it sounds like this: "ERDRADRETICKCHUCKACHUCKRAHERAHERADUGTICK." Those aren't random letters. That's the actual sound. 9. I sigh. Loudly. I'm a loud sigher. 10. Combine that with my penchant for saying "oi, yoi, oi," you can understand why I'm often mistaken for a 75 year old shuffleboard champion in West Palm Beach, Florida. THE GOOD NEWS: The good news–and what separates these idiosyncrasies (or, yes, compulsive tendencies) from the disorder–is that my life will go on if I can’t find my favorite pen or a friend won’t get up from their seat or the bagel store is closed, and if someone takes my parking spot, I don’t hike up the stairs to hunt down the driver and demand that he immediately move his car or else I’ll crack him with a knuckle sandwich. But some people do. They don’t use the term “knuckle sandwich” because it’s old and corny and sounds like something only my grandpa would say, but they do stress out and panic if things aren’t just so. And they do this every waking second of the day. Ten quirky obsessions, Matt. You know, ten is a good number. It's even, for one thing. I only like one odd number--13. Everything else I like even. So. Yeah. What are you hoping to accomplish, first and foremost, with A SCARY SCENE IN A SCARY MOVIE? To show teens they’re not alone, like Rene. (Click here and “search inside” to read the first chapter.) HELLO, FIRST CHAPTER PREVIEW!!! This is also what I hope to accomplish with my Twitter contest. <-------DON'T MISS THIS! Plus, I want to raise awareness. OCD and other anxiety disorders are quite common, but many schools are unable to handle a high case load. Last year, my school in the Bronx had over 1,000 students with 1 full-time psychologist. This year, with a building realignment, it wasn't much better: 886 students, 1 psychologist. I wish this were the exception, but unfortunately, these statistics are typical of city schools. Those are scary statistics...do you have any advice for teens with OCD? First of all, even celebrities have admitted to suffering from OCD. Watch, next year Justin Bieber admits to color coordinating every inch of his mansion and suddenly OCD is cooler than French fries. Second, professionals want to help you. It’s what they do best. Besides, life's too short to suffer when you don't have to. I love this. Kids should know there's no shame in having OCD or any anxiety disorder and should be able to seek help. But do you have any advice for non-OCD but quirky, obsessive writers like myself? Go easy, now. So, yeah, whatever your fear/quirk/obsession, face it head-on and push through—like I did as an eight year old to a bunch of autograph seekers in Disney World waiting on Roger Rabbit’s John Hancock. (Never thought you’d read those four words in a row, huh?) After I elbowed my way to the front of the line, instead of signing “Roger Rabbit,” he wrote, “Patience is a virtue.” Punk. I'm not surprised. Roger Rabbit just has that look about him--it's the shifty eyes. Alright, it’s time for some invasive questions! Fiji. The water is too expensive for me to drink, but I hear it’s delicious. See, if you had given me a French word for beans, I might’ve taken the bait. By default, the answer is filet mignon. Croissant and cappuccino or biscuits and gravy? Biscuits, hold the gravy. Unless it's my mom's gravy. But if you had my mom's gravy, that'd be weird. So, just biscuits. Err… My wife still has pictures of Jared Leto in her childhood bedroom. I am sleeping there tonight. And, honestly, I don’t compare to Jared Leto, Rider Strong, Matt Damon, or any of the other hunks on her wall. Fred Savage is the only one that doesn’t dwarf me in hunkiness, but he still takes the taco. The hunky taco. So…as for your question, the answer is chocolate, preferably in ice cream, in cookies, or placed on my pillow, like they did when I was six at a hotel near Hershey Park. Unfortunately, nobody has done that since. I keep waiting for Matthew Fox (The Party of 5 version) to come alive and daintily place chocolates on my pillow. Come on, Fox, get on that! Dude, it’s been so AWEsome to have you here, I want to capture this moment forever with a picture. Smile! Wait, wait, let me eat this pizza first! Credit to Andy Todes for making me look suave (take that Fred Savage!) and for capturing this important moment. Thanks for having me, Carol! It's been a blast! Thanks for chatting with me, Matt!! Feel free to take Charlie home with you. He's kind of wigging me out. A SCARY SCENE IN A SCARY MOVIE is available today! But, also? I'm giving away a personalized, signed HARD COVER of A SCARY SCENE IN A SCARY MOVIE to one lucky winner. Giveaway ends July 12. Thanks for Entering!! 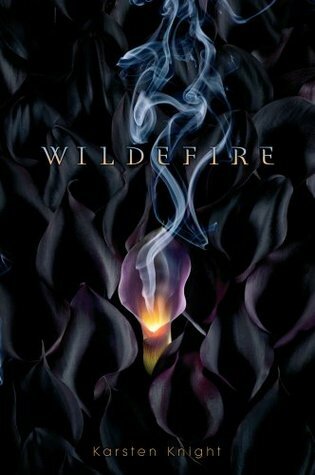 If you haven't entered yet, GO HERE to enter to win an ARC of Karsten Knight's WILDEFIRE. Open Internationally. Ends July 7, midnight EST. And be sure to come back tomorrow for another super giveaway! haha, this was awesome! matt sounds so cool, and so does his book. i wish it'd gotten more buzz around the blogosphere. i read on matt's twitter yesterday that it got selected as a seventeen magazine beach read, so that was great to hear! You people are so strange, but that was an awesome interview. Well done! And I want that hat, Matt. Also the distant, contemplative look in your eye - er, wait. Fun interview. But I'd like to point out that sports fanatics exhibit those types of behaviors everywhere... it just comes with the territory. I am a rabid college baseball fan, and I have stuffed animals that have to go with me to every game (with the exception of the annual alumni game)And it's not just me...the fans in our section INSIST on them being there. We also have superstitions like how M&M's are eaten, changing seats to change momentum, etc. But on a more serious side, I'm glad to see someone giving OCD a little page time as someone who lives with it on a daily basis. I'm the wife who has to deal with the obsessions & compulsions, and my hubs case is fairly mild. What a fun interview! Great pictures too! Now I'm hungry for pizza. And Fijian water. "Teachers often say that loud, disruptive students are thorns in their sides but most would admit that the truly dangerous ones—dangerous, at least, to themselves—are the quiet, aloof ones who fly under the radar because they nod politely at their teachers. They play the game well, well enough to get promoted, but they are anything but well." The above is one of the most insightful paragraphs I've read about children. This man has some serious insight. Hope this book continues to do well as we do not have enough honest books out there about OCD. I'm looking forward to reading Original Sin. In fact, Lisa Desrochers will be in Burlington, MA tomorrow with two other angel authors. I'm getting some books signed! Matt's book sounds unique. I haven't come across any other OCD books for teens. Thanks for the unique interview. I can't wait to pick up Matt's book. It sounds really good! Great interview! Awesome interview. Matt, you crack me up. I have the OCD, been diagnosed with a mild case. Apparently, I'm only mildy eccentric ;o) I have a few weird ones. Doors, closets. Oh, the darn blinds... I could go on and on. What a great interview, you two. Your book sounds great, Matt! My mom makes the best biscuits and gravy. I won't eat them unless they are hers! Also, Fiji = buy me a ticket! Thanks for the interview! Fiji water is the best! lol but very expensive..And now I really do want to make some biscuits and gravy! You always have such great contests! And Matt is hilarious! Man... You put a ton of effort into your posts. Thx for the giveaways and all that you do. I'm kind of like this so thanks for the opportinuty to win! Matt sounds so cool (: Am loving the book already. I really hope Justin Bieber doesn't start colour coordinating things... that'd be freaky, 'cause then tween girls all over the world would start matching colours for everything. This interview is great. Made me giggle quite a bit. :) Especially the wall covered in Jared Leto and other hunks. Thanks for sharing this! Amazing interview! I want to eat pizza now!!! :D :D Thank you for the giveaway too! I love the interview! Now, I must enter your giveaway! First time I hear about this book. It sounds interesting! wow! I think I've missed your latest post!! thanks for this!! Ha, I love the question about filet mignon! It really is an easy answer either way ;) and another great giveaway! Great interview :) I love reading your blog...I check it all the time now....might be a little addicted! Great interview! I have been wanting this book since I first heard about it (not sure when that was anymore :P) And thanks for the giveaway! 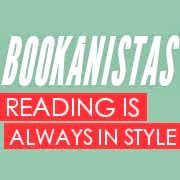 lol, the bookanistas always have *SCHMAZING* interviews that make me crack up. "Knuckle sandwich", please. I still use that and I'm 14.:) again thanks for the EPIC giveaways. Thanks for all the wonderful comments! Such a pleasure to meet everyone!